Some kings are happy to sit on their throne and slowly get soft. But Richard I of England was a man of action, a man who feared no one, a man who bravely led the way into battle and captured new lands to benefit his people. For these reasons, you may know him better as Richard the Lionhearted. The Courage Men’s Ring was designed to capture the Lion heart spirit of action and bravery. This is a handmade Italian artisan design and is forged of .925 sterling silver. 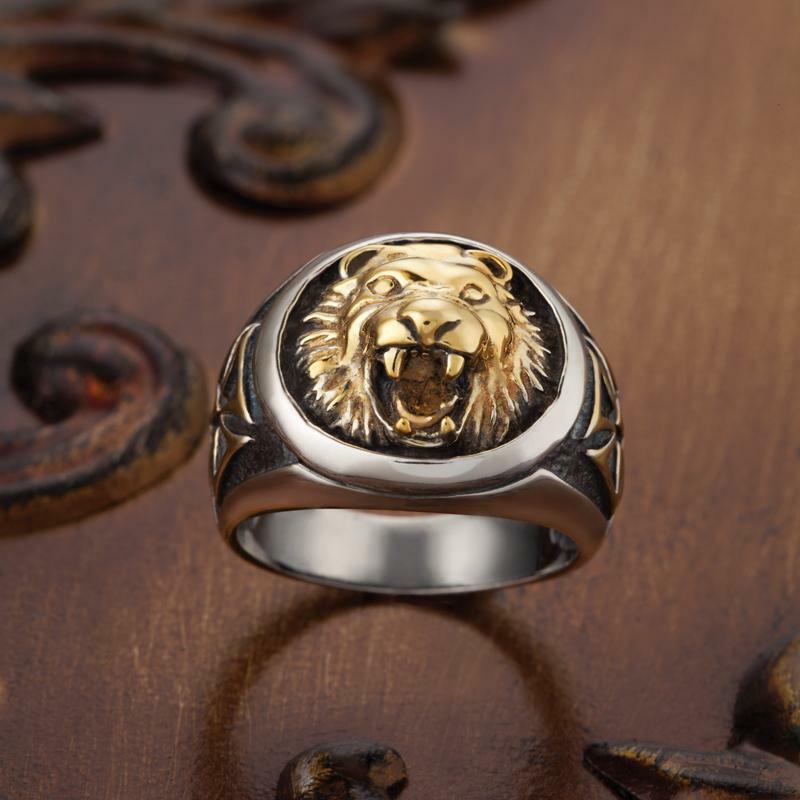 The Courage ring features an antiqued gold finish and a lion’s roar motif— the type of design a certain 12th-century warrior-king might wear. Will the Courage Men’s Ring make you braver? Not magically. But it will sit on your finger and serve as a reminder that great men achieve great things through showing courage and taking action.